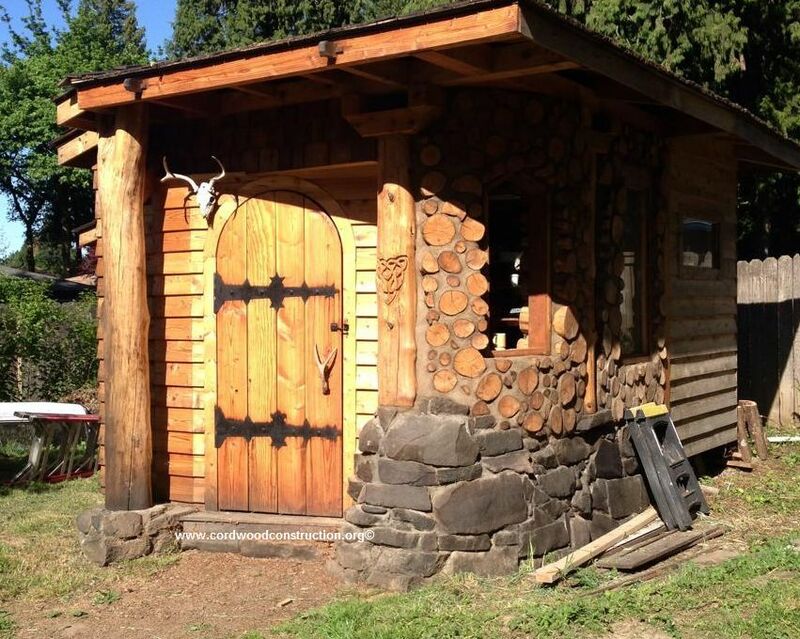 People often ask me, “Why do builders spend all their time building a beautiful cordwood home and then slap a crummy door on it?” I usually answer by saying they are probably tired after their labors and just want to get it enclosed, but, I also encourage owner/builders, “If you have time, consider making your own doors.” I will show you a few outstanding examples of home-made doors and then give you a brief explanation of how to build a couple. 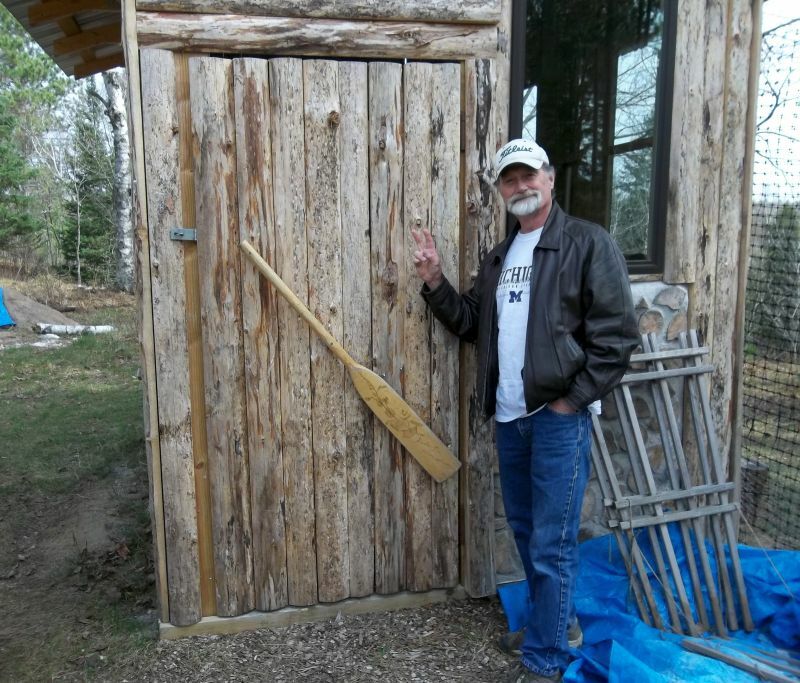 Hand made doors by Bob Gormley for his Starwood Store in Backus, Minnesota. 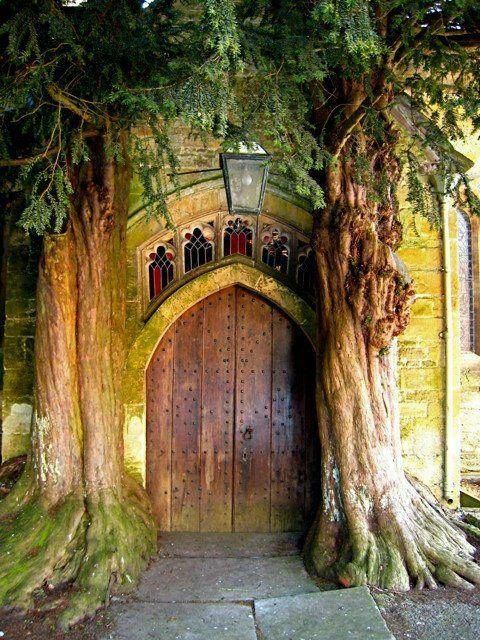 Double door with strap hinges from Jimmy’s Farm in England. 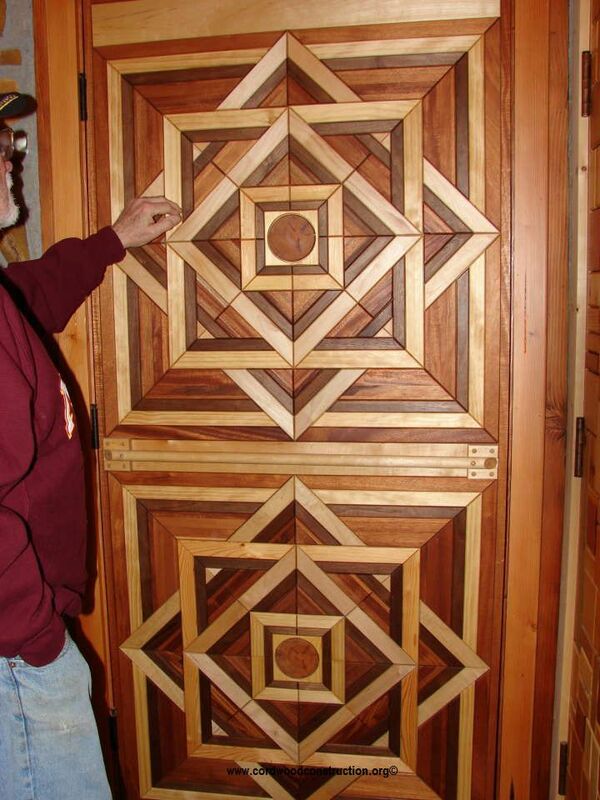 Don Noe’s door creations in Oregon. 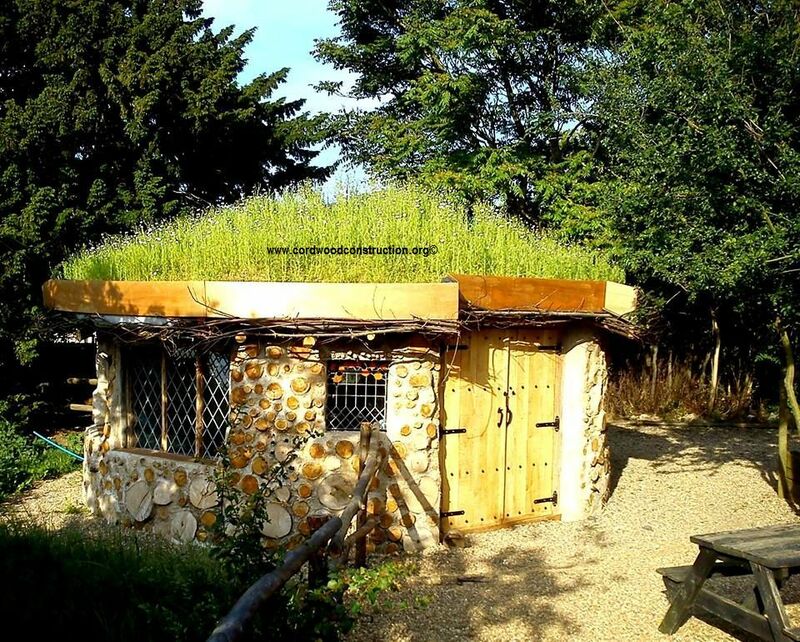 Don built the one above (using mostly all recycled material for the building). 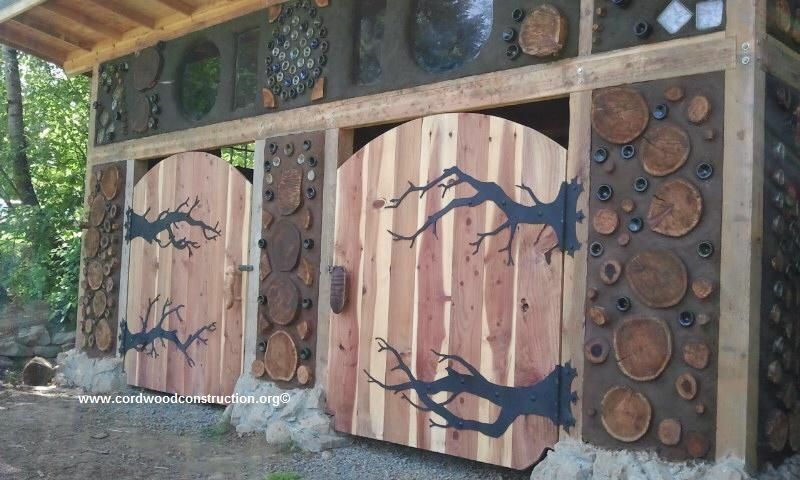 The one below is for a worm farm at Portland Community College. Notice that the handles he made are worm like. 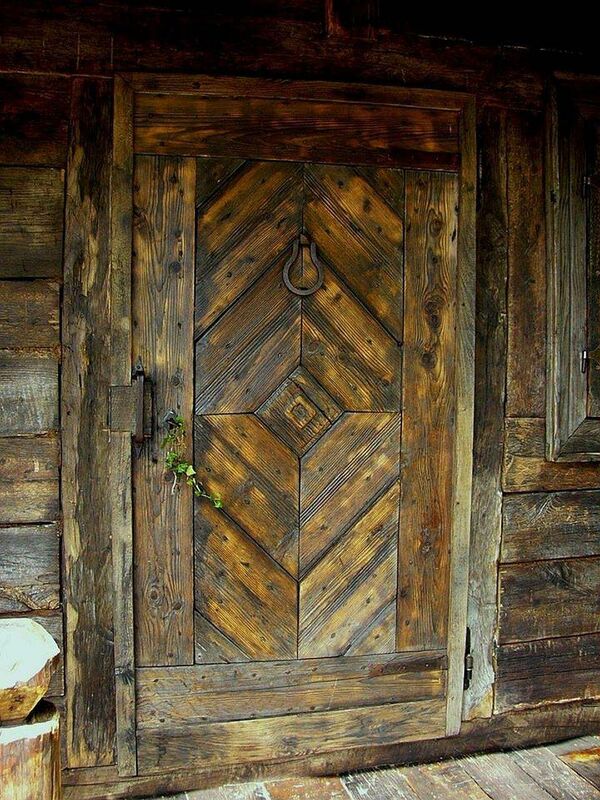 Here is a handmade door by Dan & Kristen of Merrill, Wisconsin. Dan used a 2″ x 4″ framework, insulation in the center cavity, a 3/8″ sheet of BC Plywood on one side for rigidity and five, 6″ tongue and groove boards on the other. 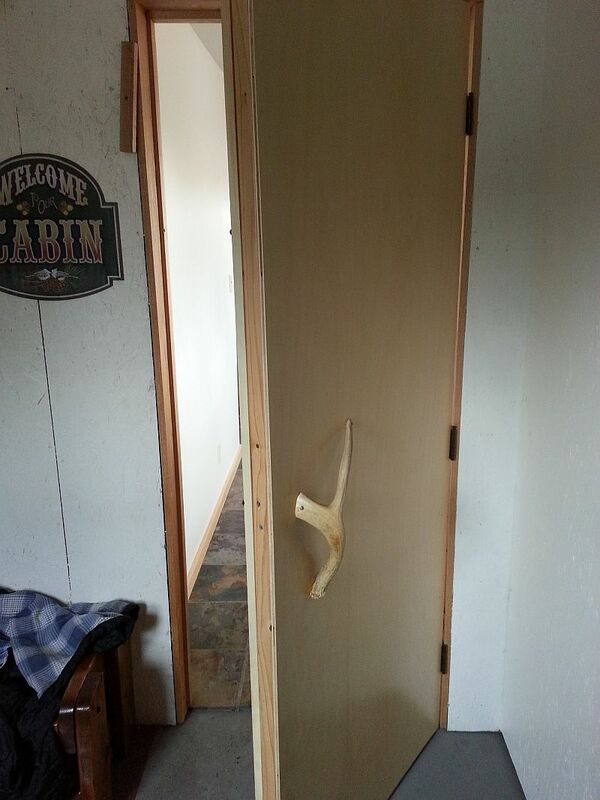 The handles are a tree branch and a deer antler. 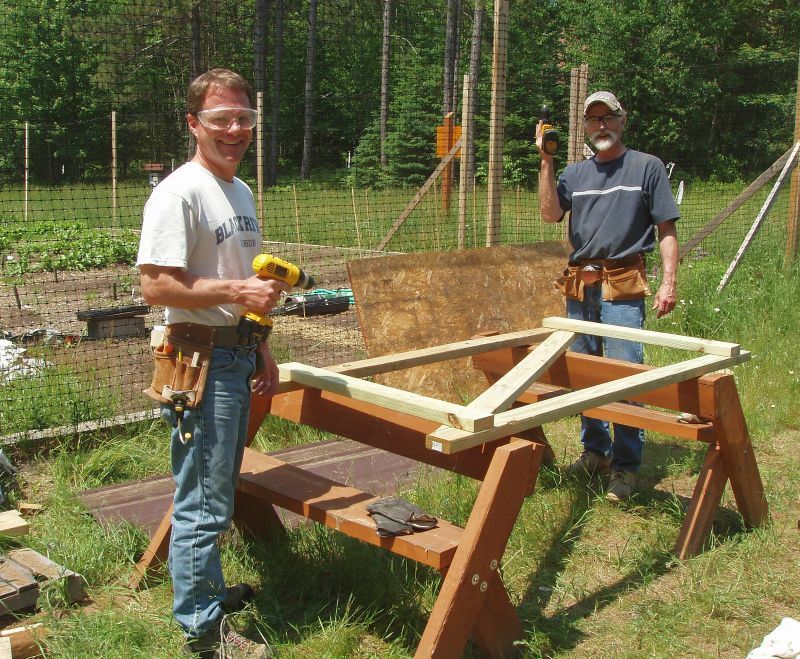 (Below)Dan and I are laying out the frame for a shed door for the Treehaven Organic Garden near Tomahawk, Wisconsin. 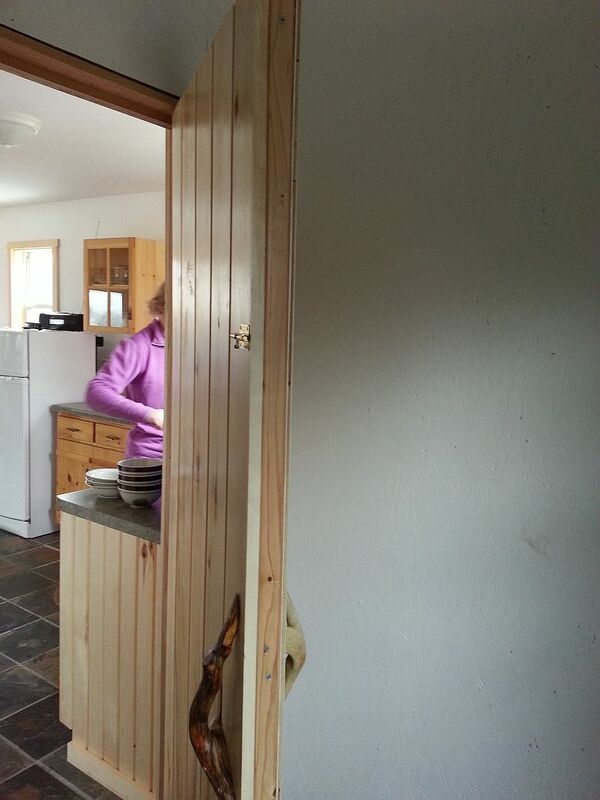 We are just beginning the layout and are scaring away the evil forces by revving up our cordless drills. Vrrooom, vrrroooooooom. 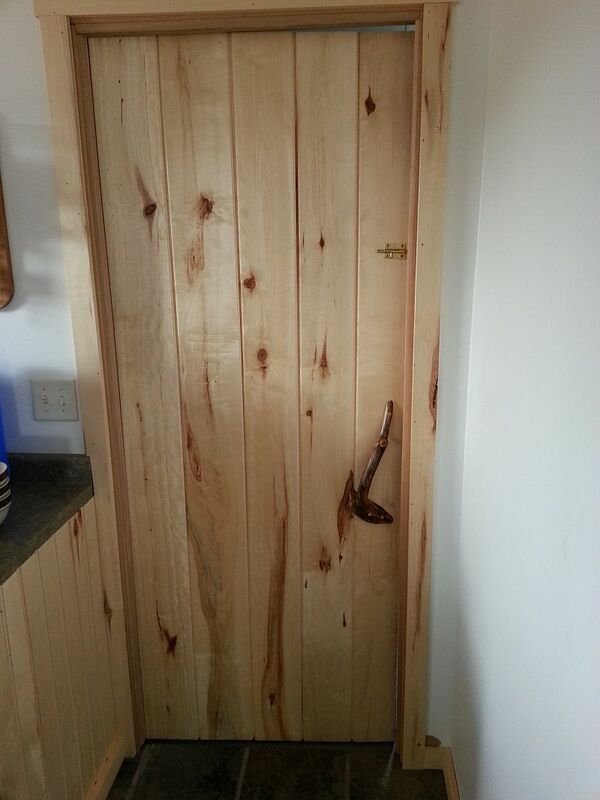 Here is the finished door: A 2 x 4″ pressure treated framework, super heavy hinges and Norway Pine slabs for the front. A broken canoe paddle has been resurfaced and wood burned for the unique handle. 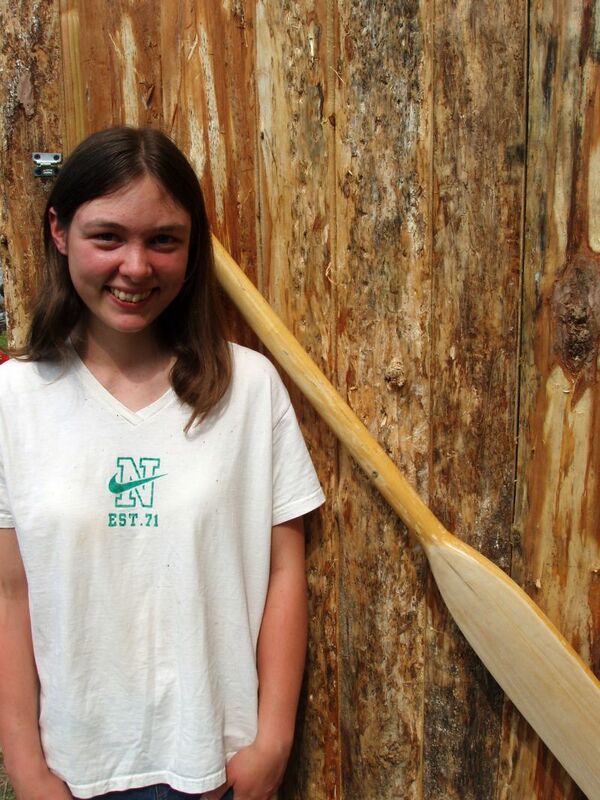 Here is the young lady who cleaned up the canoe paddle door handle and helped mount it on the door. 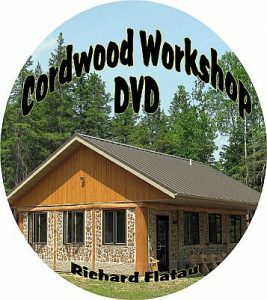 If you are interested in learning how to build using cordwood, go to www.cordwoodconstruction.org and look at the photos, read the articles, enjoy the eNewsletter and sign up for a workshop. 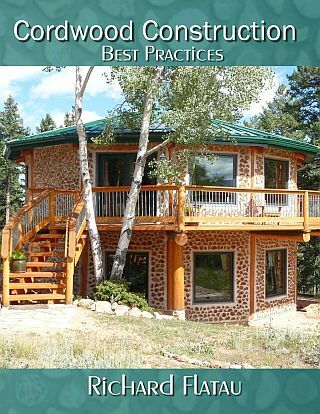 And if you are looking for a book, here, in my opinion is the best one on the market.